For other uses, see Indigenous peoples of the Americas and Non-status Indian. Non-resident Indians (NRIs) or Persons of Indian Origin (PIOs) are people of Indian birth, descent, or origin who live outside the Republic of India. Overseas Indians are various individuals or ethnic groups associated with India, usually through ancestry, ethnicity, nationality, citizenship or other affiliation and live abroad overseas. According to a Ministry of External Affairs report, there were 30,995,729 NRIs and PIOs residing outside India as of December 2018. India has one of the largest diaspora populations in the world with over 15.6 million according to the United Nations Department of Economic and Social Affairs. Strictly speaking, the term says non-resident refers only to the tax status of a person who, as per section 6 of the Income-tax Act of 1961, has not resided in India for a specified period for the purposes of the Income Tax Act. The rates of income tax are different for persons who are "resident in India" and for NRIs. For the purposes of the Income Tax Act, "residence in India" requires stay in India of at least 182 days in a financial year or 365 days spread out over four consecutive years AND at least 60 days in that year. According to the act, any Indian citizen who does not meet the criteria as a "resident of India" is a non-resident of India and is treated as NRI for paying income tax. After multiple efforts by leaders across the Indian political spectrum, a pseudo-citizenship scheme was established, the "Overseas Citizenship of India", commonly referred to as the OCI card. The Constitution of India does not permit full dual citizenship. The OCI card is effectively a long-term visa, with restrictions on voting rights and government jobs. The card is available to certain PIOs, and while it affords holders residency and other rights, it does have restrictions, and is not considered to be any type of Indian citizenship from a constitutional perspective. Indian diaspora has contributed to the Indianisation, Sanskritization and creation of an Indianised kingdom in several parts of world beyond India proper as part of the Indosphere of Greater India, including through historical spread of Indian culture, Bollywood, spread of Hinduism in Southeast Asia and spread of Buddhism on Silk Road. Indian honorifics influenced the Malay, Thai, Filipino and Indonesian honorifics. Coinciding with Prime Minister Narendra Modi's Australia visit in November 2014, the Indian community in Australia had launched an online campaign, appealing to him to grant dual citizenship to overseas Indians.The petition has also sought granting Indian passports to overseas citizens of Indian heritage with full political and economic rights, granting of convenient voting rights to such dual passport-holding overseas Indians as well as overseas Indians with Indian passports (NRIs), which can be exercised either at the consulate, high commission or embassy premises in their country of residence and through postal or online facilities. A major emigration from the Indian subcontinent was to Southeast Asia. There is a possibility that the first wave of Indian migration towards Southeast Asia occurred when Emperor Ashoka invaded Kalinga and following Samudragupta's expedition towards the South. This was followed by early interaction of Indian traders with South Asians and, after the mid-first millennium CE, by the emigration of members of the Brahmin social caste. This resulted in the establishment of the so-called Indianised kingdoms in Southeast Asia. The Cholas, who were known for their naval power, conquered Sumatra and the Malay Peninsula. The influence of Indian culture is still strongly felt in Southeast Asia with the royal Brahmins of Thailand (Rajkru), for example. Another early diaspora, of which little is known was a reported Indian "Shendu" community that was recorded when Yunnan was annexed by the Han Dynasty in the 1st century by the Chinese authorities. The modern Indian merchant diaspora in Central Asia and Arabia emerged in the mid-16th century and remained active for over four centuries. Astrakhan at the mouth of the Volga was the first place in the Tsardom of Russia where an Indian merchant colony was established as early as the 1610s. Russian chroniclers reported the presence of Hindu traders in Moscow and St Petersburg in the 18th century. Individuals of Indian origin have achieved a high demographic profile in metropolitan areas worldwide, including India Square (Little Bombay) in Jersey City, New Jersey, United States, home to the highest concentration of Asian Indians in the Western Hemisphere and one of at least 24 enclaves characterised as a Little India that have emerged within the New York City Metropolitan Area, with the largest metropolitan Indian population outside Asia, as large-scale immigration from India continues into New York. Multani people from Multan, Shikarpur, and Mawar of both Hindu and Muslim background acted as bankers and merchants in Safavid Persia. Hindu merchants in Hamadan were massacred by Ottomans as stated by an Armenian, with the Indian merchant community plummeting due to the Ottoman and Afghan wars in Iran (1722–27). In Kerman, traders of Hindu background had a caravanserai. Traders of Indian background were mentioned by Jean Chardin, Jean de Thévenot, Adam Olearius and F. A. Kotov in the Safavid dynasty in Persia where they lived along with Jews and Armenians. Traders from India of Sikh and Hindu background lived in the Qajar and Zand dynasties in Persia after a clampdown by Nader Shah and the Afghan Ghilzar wars in Iran. Sarmarqandi and Bukharan traders bought Indian indigo from merchants of Hindu origin in Kandahar in 1783 according to George Forester. The tallest houses were owned by Hindus according to Elphinstone in 1815. Lumsden recorded 350 stores owned by Hindus in Kandahar. Finance, precious metals, and textiles were all dealt with by Sikhs and Hindus in Kandahar. A Hindu worked for Timur Shah Durrani in Afghanistan. Peshawar Hindus were in Kabul by 1783. Usury was the main occupation of Hindus in Kabul. Armenians and Hindus lived in Kabul according to an 1876 survey. Jews and Hindus lived in Herat in the 1800s. Sindhi Shikarpur Hindus, Jews, and Arabs lived in Balkh in 1886. Sindhi and Punjabi were the languages used by Indians in Afghanistan. Some Afghan cities including Kabul have places of worship for Hindus and Sikhs. Local citizenship has been obtained in Afghanistan by Hindu and Sikh traders. Peshawari and Shikarpuri Indian traders were involved in Central Asia. The Shikarpuri invested in grain in the Bukharan Emirate as well as Ferghana cotton/. They also engaged in legal money lending in Bukhara, which they could not legally do in Russian Turkestan. Jews, Hindus, Baluch, Persians, and Arabs lived in Samargand, and Hindus and Bahais live in Baluchistan and Khorasan in Iran. The usurers and merchants of Hindu background from British India in Xinjiang were guaranteed by the British Consul-General. Russian refugees, missionaries, and British-Indian merchants and usurers of Hindu background were potential targets of gangs of Kashgaris so the Consulate-General of Britain was a potential shelter. The killings of two Hindus at the hands of Uighurs took place in the Shamba Bazaar in a most brutal fashion. The plundering of the valuables of slaughtered British Indian Hindus happened in Posgam on March 25, 1933, and on the previous day in Karghalik at the hands of Uighurs. Killings of Hindus took place in Khotan at the hands of the Bughra Amirs. Antagonism against both the British and Hindus ran high among the Muslim Turki Uyghur rebels in Xinjiang's southern area. Muslims plundered the possessions in Karghalik of Rai Sahib Dip Chand, who was the aksakal of Britain, and his fellow Hindus in March 24, 1933, and in Keryia they slaughtered British Indian Hindus. Sind's Shikarpur district was the origin of the Hindu diaspora there. The slaughter of the Hindus from British India was called the "Karghalik Outrage". The Muslims had killed nine of them. The forced removal of the Swedes was accompanied by the slaughter of the Hindus in Khotan by the Islamic Turkic rebels. The Emirs of Khotan slaughtered the Hindus as they forced the Swedes out and declared sharia in Khotan in March 16, 1933. Indian indentured laborers in Trinidad and Tobago, c. 1890-1896. During the mid-19th century until the end of the World War I, much of the migration that occurred was of pioneering Girmitya indentured workers — mostly Bhojpuri and Awadhi-speaking people from the Bhojpur district of Uttar Pradesh and Bihar to other British colonies under the Indian indenture system. The major destinations were Mauritius, Guyana, Trinidad and Tobago, Suriname, other parts of the Caribbean (e.g. Jamaica, Guadeloupe, Martinique, Belize, Barbados, Grenada, Saint Vincent and the Grenadines, Saint Lucia), Fiji, Réunion, Seychelles, Malay Peninsula (e.g. Malaysia and Singapore), East Africa (e.g. Kenya, Somalia, Tanzania, Uganda) and South Africa. Gujarati and Sindhi merchants and traders settled in the Arabian Peninsula, Aden, Oman, Bahrain, Dubai, South Africa and East African countries, most of which were ruled by the British. The Indian Rupee was the legal currency in many countries of Arabian peninsula. Punjabi, Rajasthani, Sindhi, Baloch and Kashmiri Camel drivers were brought to Australia. Unlike internal migration, senior government leaders have historically not vocalized opinions on international emigration. As a result, it remains a political issue only in states with major emigrant populations, such as Kerala, Punjab, Tamil Nadu and to a lesser degree Gujarat, Andhra Pradesh and Goa. However, the phenomenon continues to be a major force in India's economic (Foreign direct investment), social and political relations with nations having significant Indian populace. Since 2003, the Pravasi Bharatiya Divas (Overseas Indians' Day) sponsored by Ministry of Overseas Indian Affairs, is celebrated in India on 9 January each year, to "mark the contributions of the Overseas Indian community in the development of India". The day commemorates the arrival of Mahatma Gandhi in India from South Africa, and during a three-day convention held around the day, a forum for issues concerning the Indian diaspora is held and the annual Pravasi Bharatiya Samman Awards are bestowed. As of January 2006, the Indian government has introduced the "Overseas Citizenship of India (OCI)" scheme to allow a limited form of dual citizenship to Indians, NRIs, and PIOs for the first time since independence in 1947. The PIO Card scheme is expected to be phased out in coming years in favour of the OCI programme. 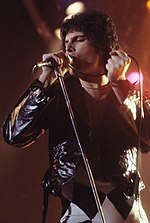 Farrokh Bulsara, better known as Freddie Mercury, lead singer and co-founder of the immensely successful rock band Queen, was of Parsi descent born in Zanzibar. Before the larger wave of migration during the British colonial era, a significant group of South Asians, especially from the west coast (Sindh, Surat, Konkan and Malabar) travelled regularly to South East Africa, especially Zanzibar. It is believed that they travelled in Arab dhows, Maratha Navy ships (under Kanhoji Angre), and possibly Chinese junks and Portuguese vessels. Some of these people settled in South-East Africa and later spread to places like present day Uganda, and Mozambique. Later they mingled with the much larger wave of South Asians who came with the British. Indian migration to the modern countries of Kenya, Uganda, Mauritius, South Africa, and Tanzania began nearly a century ago when these parts of the continent were under British and French colonial rule. Most of these migrants were of Gujarati or Punjabi origin. There are almost three million Indians living in South-East Africa. Indian-led businesses were (or are) the backbone of the economies of these countries. These ranged in the past from small rural grocery stores to sugar mills. In addition, Indian professionals, such as doctors, teachers, engineers, also played an important part in the development of these countries. Indians in Madagascar are descended mostly from traders who arrived in 19th century looking for better opportunities. The majority of them came from the Indian west coast state of Gujarat and were known as Karana (Muslim) and Bania (Hindu). The majority speak Gujarati, though some other Indian languages are spoken. Nowadays the younger generations speak at least three languages including French or English, Gujarati and Malagasy. A large number of Indians are highly educated in Madagascar, particularly the younger generation, who try to contribute their knowledge to the development of Madagascar. Outside of India, Mauritius is the only country where people of Indian origin form the vast majority (not including Guyana, Trinidad & Tobago where Afro-Caribbeans and Indo-Caribbeans have equal populations, or Fiji where the Indo-Fijians once formed the majority but has declined due to large-scale emigration). The people are known as Indo-Mauritians, and form about 65.8% of the population. The majority of them are Hindu (73.7%) and a significant group are Muslims (26.3%). There are also some Bahá'ís and Sikhs, but the Bahá'í and Sikh populations are relatively small. The mother tongue of Indo-Mauritians is Creole, as well as French and English in general fields, however various Indian languages are still spoken, especially Bhojpuri, Tamil, Hindi, Marathi, Odia, Telugu, and Urdu are used in religious activities. Mauritius hosts the Aapravasi Ghat, the only site of UNESCO in the world, to pay homage to the memory of indenture. Mauritius is the only Hindu majority (48.5%) country of Africa according to the 2011 census. The Indian Festivals of Maha Shivaratri, Diwali, Thaipusam, Ponggal, Ganesh Chaturthi and Ugadi are all National Holidays as well as the Annual Commemoration of the Arrival of Indian Indentured Labourers in Mauritius. Indians make up a quarter of Réunion's population. Most originally came as indentured workers from Tamil Nadu. Navanethem Pillay, an Indian South African descent who served as the U.N High Commissioner for Human Rights. Most Asians in South Africa are descended from indentured Indian labourers who were brought by the British from India in the 19th century, mostly to work on the sugar cane plantations of what is now the province of KwaZulu-Natal (KZN). The majority are descendents of South Indian communities such as the Tamil and Telugu speaking communities while a minority are descended from Indian traders who migrated to South Africa at around the same time, many from Gujarat. The city of Durban has the highest number of Asians in sub-Saharan Africa, and the Indian independence leader Mahatma Gandhi worked as a lawyer in the city in the early 1900s. South Africa has the highest number of people of Indian descent outside of India in the world, i.e. born in South Africa and not migrant. Most of them are fourth or fifth generation descendants. Most Indian South Africans do not speak the Indian languages that were 'lost' over the generations, although they do enjoy watching Indian movies and listening to Indian music. 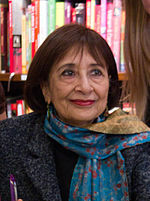 Madhur Jaffrey is a notable Indian-born British Indian actress, food and travel writer, and television personality. The Indian emigrant community in the United Kingdom is now in its third generation. Indians in the UK are the largest community outside of Asia proportionally, and the second largest in terms of population, only surpassed by the United States, and closely followed by Canada. The first wave of Indians in the United Kingdom worked as manual labourers and were not respected within society. However, this has changed considerably. On the whole, third and fourth generation immigrants are proving to be very successful, especially in the fields of law, business and medicine. Indian culture has been constantly referenced within the wider British culture, at first as an "exotic" influence in films like My Beautiful Laundrette, but now increasingly as a familiar feature in films like Bend It Like Beckham. The United Kingdom Census 2011 recorded 1,451,862 people of Indian ethnicity resident in the UK (not including those who categorised themselves as of mixed ethnicity). The main ethnic groups are Tamils, Marwaris, Panjabis, Gujaratis, Kannadigas, Bengalis and Anglo-Indians. Hindus comprise 45% of the British Indian population, Sikhs 22%, Muslims 18%, Christians nearly 5%, with the remainder made up of Jains (15,000), Parsis (Zoroastrians), and Buddhists. Most Indians in the United Kingdom have settled in London, the Midlands, the North West, Yorkshire and the South East. Their presence in Scotland, Wales, Northern Ireland and other regions is not as large. The first generation of immigrants were to be found in the east-end of London, which was traditionally the poorest area of London. However, due to gentrification, this is no longer the case. There are 2,360,000 people currently speaking Indian languages in the United Kingdom. Punjabi is now the second most widely spoken language in the United Kingdom, and the most frequently spoken language among school pupils who do not have English as a first language. There are around 120,000 people of Indian origin in the Netherlands, 90% of whom migrated from the former Dutch colony of Suriname, where their forefathers were brought as workers to farm and tend to crops in the former Dutch colonies. Indo-Surinamese are nationals of Suriname of Indian or other South Asian ancestry. After the Dutch government signed a treaty with the United Kingdom on the recruitment of contract workers, Indians began migrating to Suriname in 1873 from what was then British India as indentured labourers, many from the modern-day Indian states of Uttar Pradesh, Bihar and the surrounding regions. Just before and just after the independence of Suriname on 25 November 1975 many Indo-Surinamese emigrated to the Netherlands. During the heyday of the British Raj/Empire, many people from India were sent to other British colonies for work. In the Dutch colony of Suriname, the Dutch were allowed by the British Raj to recruit labourers in certain parts of the North-Indian United Provinces. Today, Europe's largest Hindu temple is currently being built in The Hague. The New York City Metropolitan Area, including Manhattan, Queens, and Nassau County in New York, and most of New Jersey, is home to by far the largest Indian population in the United States, estimated at 679,173 as of 2014. 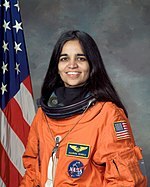 Kalpana Chawla is the first Indian American astronaut. The United States has the largest Indian population in the world outside Asia. Indian immigration to North America started as early as the 1890s. Emigration to the US also started in the late 19th and early 20th century, when Sikhs arriving in Vancouver found that the fact that they were subjects of the British Empire did not mean anything in Canada itself, and they were blatantly discriminated against. [clarification needed]Some of these pioneers entered the US or landed in Seattle and San Francisco as the ships that carried them from Asia often stopped at these ports. Most of these immigrants were Hindus from the Punjab region. Asian women were restricted from immigrating, because the US government passed laws in 1917, at the behest of California and other states in the west, which had experienced a large influx of Chinese, Japanese, and Indian immigrants during and after the gold rush. As a result, many of the South Asian men in California married Mexican women. A fair number of these families settled in the Central Valley in California as farmers, and continue to this day. These early immigrants were denied voting rights, family re-unification and citizenship. In 1923 the Supreme Court of the United States, in United States v. Bhagat Singh Thind, ruled that people from India (at the time, British India, e.g. South Asians) were ineligible for citizenship. Bhagat Singh Thind was a Sikh from India who settled in Oregon; he had applied earlier for citizenship and was rejected there. Thind became a citizen a few years later in New York. After World War II, US immigration policy changed, after almost a half century, to allow family re-unification for people of non-white origin. In addition, Asians were allowed to become citizens and to vote. A large number of the men who arrived before the 1940s were finally able to bring their families to the US; most of them in this earlier era settled in California and other west coast states. Another wave of Indian immigrants entered the US after independence of India. A large proportion of them were Hindus joining their family members under the new more (though not completely) colour-blind immigration laws, then Malayali immigrants from Middle East, Kerala, etc. and professionals or students that came from all over India. The Cold War created a need for engineers in the defence and aerospace industries, some of whom came from India. By the late 1980s and early 1990s, large numbers of Gujarati, Telugu, and Tamil people had settled in the US. The most recent and probably the largest wave of immigration to date occurred in the late 1990s and early 2000s during the internet boom. As a result, Indians in the US are now one of the largest among the groups of immigrants with an estimated population of about 3.2 million, or ~1.0% of the US population according to American Community Survey of 2010 data. The US Census Bureau uses the term Asian Indian to avoid confusion with the indigenous peoples of the Americas commonly referred to as American Indians. In contrast to the earliest groups of Indians who entered the US workforce as taxi drivers, labourers, farmers or small business owners, the later arrivals often came as professionals or completed graduate study in the US and moved into the professions. They have become very successful financially thanks to the hi-tech industry, and are thus probably the most well-off community of immigrants. They are well represented in all walks of life, but particularly so in academia, information technology and medicine. There were over 4,000 PIO professors and 84,000 Indian-born students in American universities in 2007-08. The American Association of Physicians of Indian Origin has a membership of 35,000. In 2000, Fortune magazine estimated the wealth generated by Indian Silicon Valley entrepreneurs at around $250 billion. 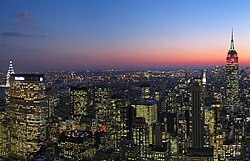 The New York City Metropolitan Area, including Manhattan, Queens, and Nassau County in New York State, and most of New Jersey, is home to by far the largest Indian population in the United States, estimated at 679,173 as of 2014. Though the Indian diaspora in the US is largely concentrated in metropolitan areas surrounding cities such as New York City, Washington D.C., Boston, Philadelphia, Atlanta, Chicago, Dallas, Houston, Los Angeles, and San Francisco — almost every metropolitan area in the US has a community of Indians. 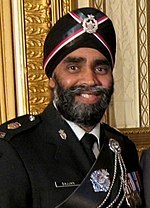 Harjit Sajjan, is an Indian Canadian politician and former Lieutenant Colonel with the Canadian Armed Forces. He is the current Minister of National Defence. Canada's Lilly Singh, known by her YouTube username "IISuperwomanII", is a popular YouTube personality of Indian origin. According to Statistics Canada, in 2016 there were 1,541,955 people who classified themselves as being of Indian origin, including terms of "East Indian", South Asian or Indo-Canadian. Unlike in India however, representation of various minority religious groups is much higher amongst the Indo-Canadian population. For instance in India, Sikhs comprise 2% and Christians 2.2% of the population of India, Hindus 80% and Muslims 14%. In 2011, Sikhs represented 35%, Hindus represented 28%, Muslims 17%, Christians 16% of the total people of Indian origin in Canada. The first known Indian settlers in Canada were Indian Army soldiers who had passed through Canada in 1897 on their way home from attending Queen Victoria's Diamond Jubilee celebration in London, England. Some are believed to have remained in British Columbia and others returned there later. A Hindu-Canadian community has existed in Abbotsford, British Columbia, Canada, for over 100 years. Hindu-Punjabi Indians were attracted to the possibilities for farming and forestry. They were mainly male Sikhs who were seeking work opportunities. Indo-Caribbeans, descendants of the Indian indentured workers who had gone to the Caribbean since 1838, made an early appearance in Canada with the arrival of the Trinidadian medical student Kenneth Mahabir and the Demerara (now Guyana) clerk M N Santoo, both in 1908. The first Indian immigrants in British Columbia allegedly faced widespread racism from the local white Canadians. Race riots targeted these immigrants, as well as new Chinese immigrants. Most decided to return to India, while a few stayed behind. The Canadian government prevented these men from bringing their wives and children until 1919, another reason why many of them chose to leave. Quotas were established to prevent many Indians from moving to Canada in the early 20th century. These quotas allowed fewer than 100 people from India a year until 1957, when the number was increased to 300. In 1967, all quotas were scrapped. Immigration was then based on a point system, thus allowing many more Indians to enter. Since this open-door policy was adopted, Indians continue to come in large numbers, and roughly 25,000-30,000 arrive each year, which now makes Indians the second highest group immigrating to Canada each year, after the Chinese. Most Indians choose to immigrate to larger urban centres like Toronto, and Vancouver, where more than 70% live. Smaller communities are also growing in Calgary, Edmonton, and Montreal. A place called Little India exists in Vancouver and a section of Gerrard Street in Toronto as well. Indians in Vancouver live mainly in the suburb of Surrey, or nearby Abbotsford but are also found in other parts of Vancouver. The vast majority of Vancouver Indians are of Sikh origin and have taken significant roles in politics and other professions, with several Supreme Court justices, three attorneys general and one provincial premier hailing from the community. Both Gurmant Grewal and his wife Nina Grewal were the first married couple in Canada to be concurrently elected as Member of Parliament in 2004. The most read newspaper in the Indian community is The Asian Star and The Punjabi Star based in Vancouver started by an immigrant from Mumbai-Shamir Doshi. The Greater Toronto Area contains the second largest population of Indian descent in North America, enumerating 572,250 residents of Indian origin as of 2011, surpassed only by the 592,888 estimate by the 2011 American Community Survey (and 659,784 in 2013) for the New York City Combined Statistical Area. Note, however, that the Toronto count (but not the New York count) includes individuals of West Indian/Indo-Caribbean descent. Compared to the Vancouver area, Toronto's Indian community is much more linguistically and religiously diverse with large communities of Gujaratis, Malayalis, and Tamils, as well as more Indians who are Hindu, Sikh and Muslim than Vancouver. From Toronto, Canadian carrier Air Canada operates non-stop flights to Delhi and Mumbai. Waheed Alli, Baron Alli is multimillionaire media entrepreneur and politician of Indo-Caribbean heritage. From 1838 to 1917, over half a million Indians from the former British Raj or British India, were brought to the British West Indies as indentured servants to address the demand for labour following the abolition of slavery. The first two ships arrived in British Guiana (now Guyana) on 5 May 1838. The majority of the Indians living in the English-speaking Caribbean migrated from eastern Uttar Pradesh and western Bihar, while those brought to Guadeloupe and Martinique were mostly from Andhra Pradesh and Tamil Nadu. A minority emigrated from other parts of South Asia, including present-day Pakistan and Bangladesh. Other Indo-Caribbean people descend from later migrants, including Indian doctors, Gujarati businessmen and migrants from Kenya and Uganda. A vague community of modern-day immigrants from India is to be found on Saint-Martin or Sint Maarten and other islands with duty-free commercial capabilities, where they are active in business. Indo-Caribbeans are the largest ethnic group in Guyana, Suriname and Trinidad and Tobago. They are the second largest group in Jamaica, Saint Vincent and the Grenadines and other countries. There are small populations of them in Bahamas, Barbados, Belize, French Guiana, Grenada, Panama, Guatemala, St Lucia, Haiti, Martinique, Guadeloupe, and the Netherlands Antilles. The indentured Indians and their descendants have actively contributed to the evolution of their adopted lands in spite of many difficulties. Jamaica has always celebrated the arrival of the East Indians in Old Harbour Bay on 13 May. Trinidad and Tobago celebrates the arrival of East Indians on 30 May. In 2003, Martinique celebrated the 150th anniversary of Indian arrival. Guadeloupe did the same in 2004. These celebrations were not the fact of just the Indian minority but the official recognition by the French and local authorities of their integration and their wide-scale contribution in various fields from agriculture to education and politics, and to the diversification of the Creole culture. Thus the noted participation of the whole multi-ethnic population of the two islands in these events. The migrations of Indians began when the British had Guyana as a colony, primarily in the same time period Indians started migrating to other British colonies. Later on the Dutch colonists had a trade off with the "British Raj" to import Indians into one of their biggest colonies, Suriname. The French has also imported Indians, although with small numbers. The latest pre-world war migration has taken place since 1873 in Suriname and was only stopped due to the first world war 1914. In 2006, the newly formed Nepal parliament passed the controversial citizenship act Nepal citizenship law that allowed nearly two million Indians especially those living in the Madhesh province of Nepal to acquire Nepalese citizenship and Nepalese identity via naturalisation. The total number of Indian citizens temporarily living and working in Nepal is estimated to be somewhere between two and three million. Nepal is also the seventh largest source of remittance to India, which amounted to nearly $3.5 billion in 2013/2014. Manoj Punjabi is an Indian Indonesian film and television producer and owner of the biggest production house in Indonesia. The official figures, it is estimated that there are around 125,000 Indians living in Indonesia and 25,000 PIOs/NRIs living in Indonesia of which the Indian expatriate community registered with the embassy and consulate in Medan numbers around 5,000-7,000 people. Most are from Tamil descendants. There are other sources stated that there are more than 400,000 Indians in Indonesia. Indians have been living in Indonesia for centuries, from the time of the Srivijaya and Majapahit Empire both of which were Hindu and heavily influenced by the subcontinent. Indians were later brought to Indonesia by the Dutch in the 19th century as indentured labourers to work on plantations located around Medan in Sumatra. While the majority of these came from South India, a significant number also came from the north of India. The Medan Indians included Hindus, Muslims and Sikhs. They have now been in Indonesia for over four generations and hold Indonesian passports. While local statistics continue to suggest that there are some 40,000 PIOs in Sumatra, the vast majority are now completely assimilated into Indonesian society, though some elements of the Tamil, Punjabi and Odia communities still maintain their cultural traditions. Among these communities, Tamils and to a lesser extent Sikhs were primarily engaged in agriculture while Sindhis and Punjabis mainly established themselves in textile trade and sports businesses. The Indian community is very well regarded in Indonesia, is generally prosperous, and includes individuals holding senior positions in local and multinational companies. Due to economic factors, most traders and businessmen among PIOs have over past decades moved to Jakarta from outlying areas such as Medan and Surabaya. Almost half the Indian Community in Indonesia is now Jakarta-based; it is estimated that the population of Jakarta's Indian community is about 19,000. There are six main social or professional associations in Jakarta's Indian PIO/NRI community. Gandhi Seva Loka (formerly known as Bombay Merchants Association) is a charitable institution run by the Sindhi community and is engaged mainly in educational and social activities. The India Club is a social organisation of PIO/NRI professionals. An Indian Women's Association brings together PIO/NRI spouses and undertakes charitable activities. There is a Gurudwara Prabandhak Committee in Jakarta and Sindhis as well, Sikhs are associated with Gurudwara activities. The Economic Association of Indonesia and India (ECAII) brings together leading entrepreneurs from the Indian community with the objective of promoting bilateral economic relations, but it has been largely inactive. Finally, there is the Indonesian Chapter of the Institute of Chartered Accountants of India (ICAI). Indians in Japan consist of migrants from India to Japan and their descendants. As of December 2008[update], there were 22,335 Indian nationals living in Japan. Roughly 60% consist of expatriate IT professionals and their families. Current World No. 1 of women's squash, Malaysia's Nicol David, is of Chindian descent. Malaysia has one of the world's largest overseas Indian and overseas Chinese populations. Most Indians migrated to Malaysia as plantation labourers under British rule. They are a significant minority ethnic group, making up 8% or 2,410,000 as 2017 of the Malaysian population. 85% of these people are Tamil-speaking. They have retained their languages and religion — 88% of ethnic Indians in Malaysia identify as Hindus. A minority number of the population are Sikhs and Muslims. There is also a small community of Indian origin, the Chitty, who are the descendants of Tamil traders who had emigrated before 1500 CE, and Chinese and Malay locals. Considering themselves Tamil, speaking Malay, and practicing Hinduism, the Chittys number about 200,000 today. Currently, there are over 150,000 people of Indian origin residing in Philippines. By law, Indian Filipinos are defined as Philippine citizens of Indian descent. India and the Philippines have historic cultural and economic ties going back over 3,000 years. Iron Age finds in the Philippines point to the existence of trade between Tamil Nadu in South India and what are today the Philippine Islands during the ninth and tenth centuries BCE. The influence of Indian culture on Filipino cultures intensified from the 2nd through the late 14th centuries CE, impacting various fields such as language, politics, and religion. During the Seven Years' War, Indians from Chennai, and Tamil Nadu were part of the British expedition against Spanish Manila, taking the city from the Spanish East Indies government and occupying the surrounding areas until Caintâ and Morong (today in Rizal province) between 1762 and 1763. Following the end war's end, a number of Indian soldiers mutinied, settled, and married local Tagalog women. These Sepoy Indians still have descendants in the town today. V. Sundramoorthy is a former Singapore international footballer and currently the head coach of S.League club Tampines Rovers. Indian Singaporeans — defined as persons of South Asian paternal ancestry — form 10% of the country's citizens and permanent residents, making them Singapore's third largest ethnic group. Among cities, Singapore has one of the largest overseas Indian populations. Although contact with ancient India left a deep cultural impact on Singapore's indigenous Malay society, the mass migration of ethnic Indians to the island only began with the founding of modern Singapore by the British in 1819. Initially, the Indian population was transient, mainly comprising young men who came as workers, soldiers and convicts. By the mid-20th century, a settled community had emerged, with a more balanced gender ratio and a better spread of age groups. Tamil is one among the four official languages of Singapore alongside English, Chinese and Malay. Singapore's Indian population is notable for its class stratification, with disproportionately large elite and lower income groups. This long-standing problem has grown more visible since the 1990s with an influx of both well-educated and unskilled migrants from India, and as part of growing income inequality in Singapore. Indians earn higher incomes than Malays, the other major minority group. Indians are also significantly more likely to hold university degrees than these groups. However, the mainly locally born Indian students in public primary and secondary schools under-perform the national average at major examinations. Singapore Indians are linguistically and religiously diverse, with South Indians and nominal Hindus forming majorities. Indian culture has endured and evolved over almost 200 years. By the mid to late 20th century, it had become somewhat distinct from contemporary South Asian cultures, even as Indian elements became diffused within a broader Singaporean culture. Since the 1990s, new Indian immigrants have increased the size and complexity of the local Indian population. Together with modern communications like cable television and the Internet, this has connected Singapore with an emerging global Indian culture. Prominent Indian individuals have long made a mark in Singapore as leaders of various fields in national life. Indians are also collectively well-represented, and sometimes over-represented, in areas such as politics, education, diplomacy and the law. There is also a small community of Indian origin, the Chitty, who are the descendants of Tamil traders who had emigrated before 1500 CE, and Chinese and Malay locals. Considering themselves Tamil, speaking Tamil, and practice Hinduism, the Chittys number about 2,000 today. Indians command a dominant majority of the population Persian Gulf countries. After the 1970s oil boom in the Middle East, numerous Indians from Kerala emigrated, taking advantage of close historical ties with the 'Gulf' as well as the lack of ample skilled labour from nearby Africa and the Middle East. Major urban centers such as Dubai, Abu Dhabi, Doha and Manama were experiencing a development boom and thousands of Indians labored in construction industries. This work was done on a contractual basis rather than permanently, and working age men continued to return home every few years. This has remained the dominant pattern as the countries in the Persian Gulf, especially United Arab Emirates, Bahrain, Qatar and Kuwait have a common policy of not naturalising non-Arabs, even if they are born there. The Persian Gulf region has provided incomes many times over for the same type of job in India and has geographical proximity to India, and these incomes are free of taxation. The NRIs make up a good proportion of the working class in the Gulf Cooperation Council (GCC). NRI population in these GCC countries is estimated to be around 20 million, of which a quarter is resident in the United Arab Emirates (UAE). In 2005, about 75% of the population in the UAE was of Indian descent. The majority originate from Kerala, Tamil Nadu, Uttar Pradesh, Odisha, Karnataka, and Goa. Similarly, Indians are the single largest nationality in Qatar, representing around 85% of the total population as of 2014. They also form majorities in Bahrain, Kuwait, Oman. Since the early-2000s, significant number of Indians have reached the region, taking up high skill jobs in business and industry. Major Indian corporations maintain solid regional presence there while some are headquartered there. There is a huge population of NRIs in West Asia, most coming from Kerala and Hyderabad. They work as engineers, doctors, lawyers, labourers and in clerical jobs. Unlike in Europe and America, most of the countries in West Asia do not grant citizenship or permanent residency to these Indians, however long they might live there. They have a minority in Saudi Arabia. The NRI population tends to save and remit considerable amounts to their dependents in India. It is estimated such remittances may be over US$10 billion per annum (including remittances by formal and informal channels in 2007–2008). Since these people travel to their homes often twice or thrice a year, they are very close to the Indian culture. There are TV soaps aimed at them, especially Tiarts for Goans living in UAE. There are shows that happen quite often through community groups in the UAE. Many NRIs live for a couple of months a year in India, often during the holiday periods. They often continue their banking relationships and telecom relationships in India. The Bene Israel (Hebrew: בני ישראל‎, "Sons of Israel") are a group of Jews who migrated in the 19th century from villages in the Konkan area to nearby Indian cities, primarily Mumbai, but also to Pune, and Ahmedabad. In the second half of the 20th century, most of them emigrated to Israel, where they now number about 60,000. The native language of the Bene Israel is Judæo-Marathi, a form of Marathi. Another prominent community that migrated to Israel after its creation were the Jews of Cochin, in Kerala (Cochin Jews) - a community with a very long history. They are known to have been granted protection by the king of the Princely State of Cochin. The earliest Jews in this region, as per local tradition, date to as early as 379 CE. 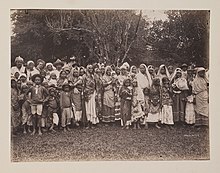 The community was a mix of native Jews (called "Black Jews"), and European Jews (called "White Jews") who had emigrated to Cochin after the successive European conquests of Cochin. The Jewish community of Cochin spoke a variant of Malayalam, called Judeo-Malayalam. The community, after the creation of Israel, saw a mass exodus from Cochin, and is presently facing extinction. Still another group of Indians to arrive in Israel belong to the Bnei Menashe ("Children of Menasseh", Hebrew בני מנשה) a group of more than 9,000 people from India's North-Eastern border states of Manipur and Mizoram, who claim descent from one of the Lost Tribes of Israel, and of whom about 1,700 now live in Israel (some of them in Israeli settlements on the West Bank). Linguistically, Bnei Menashe are Tibeto-Burmans and belong to the Mizo, Kuki and Chin peoples (the terms are virtually interchangeable). The move to convert them to Judaism and bring them to Israel is politically controversial in both India and Israel. At the 2016 Australian census, 619,164 people stated that they had Indian ancestry, of which 455,389 were born in India. Before roads and road transport were developed, many Indians had come to Australia to run camel trains. They would transport goods and mail via camels in the desert. Some of the earliest Punjabi arrivals in Australia included Kareem Bux, who came as a hawker to Bendigo in 1893, Sardar Beer Singh Johal, who came in 1895 and Sardar Narain Singh Heyer, who arrived in 1898. Many Punjabis took part in the rush for gold on the Victorian fields. Indians also entered Australia in the first half of the 20th century when both Australia and India were still British colonies. Indian Sikhs came to work on the banana plantations in Southern Queensland. Today a large number of them live in the town of Woolgoolga (a town lying roughly halfway between Sydney and Brisbane). Some of these Indians, the descendants of Sikh plantation workers, now own banana farms in the area. There are two Sikh temples in Woolgoolga, one of which has a museum dedicated to Sikhism. A large number of Britons and Anglo-Indians born in India migrated to Australia after 1947. These British citizens decided to settle in Australia in large numbers but are still counted as Indian Nationals in the census. The third wave of Indians entered the country in the 1980s. After the policy was abolished many Indian teachers and doctors settled in Australia. Another big influx began with the information technology (IT) revolution. Large numbers of Indian IT professionals arrived in Australia from 1976 onwards. After successive military coups in Fiji of 1987 and 2000, a significant number of Fijian-Indians migrated to Australia; as such there is a large Fijian-Indian population in Australia. Fijian-Indians have significantly changed the character of the Indian community in Australia. While most earlier Indian migration was by educated professionals, the Fijian-Indian community was also largely by professionals but also brought many small business owners and entrepreneurs. The current wave of Indian migration is that of engineers, toolmakers, Gujarati business families from East Africa and relatives of settled Indians. Starved of government funding, Australian education institutes are recruiting full fee paying overseas students. Many universities have permanent representatives stationed in India and other Asian countries. Their efforts have been rewarded with a new influx of Indian students entering Australia. The total number of student visas granted to Indian students for 2006-2007 was 34,136; a significant rise from 2002-2003, when 7,603 student visas were granted to Indian students. According to the Australian Bureau of Statistics, 87% of Indians residing in Australia are under the age of 50, and over 83% are proficient in English. The former Governor General of New Zealand, Anand Satyanand, is of Indian descent. Indians began to arrive in New Zealand in the late eighteenth century, mostly as crews on British ships. A small number deserted; the earliest known Indian resident of New Zealand was living with a Māori wife in the Bay of Islands in 1815. Numbers slowly increased through the 19th and 20th centuries, despite a law change in 1899 that was designed to keep out people who were not of "British birth and parentage". As in many other countries, Indians in New Zealand dispersed throughout the country and had a high rate of small business ownership, particularly fruit and vegetable shops and convenience stores. At this stage most Indian New Zealanders originated from Gujarat. Changes in immigration policy in the 1980s allowed many more Indians, Pakistanis and Bangladeshis into the country. Notable Indian New Zealanders include former Dunedin mayor Sukhi Turner, cricketers Dipak Patel and Jeetan Patel, singer Aaradhna, and former Governor General Anand Satyanand. Indo-Fijians are Fijians whose ancestors came mainly from Uttar Pradesh and Bihar, while a small minority hailed from Andhra Pradesh and Tamil Nadu. Later on, a small population of Gujaratis and Punjabis emigrated to Fiji. They number 3,13,798 (37.6%) (2007 census) out of a total of 8,27,900 people living in Fiji. They are mostly descended from indentured labourers, girmitiyas or girmit, brought to the islands by Fiji's British colonial rulers between 1879 and 1916 to work on Fiji's sugar cane plantations. Music has featured prominently in Indo-Fijian culture, with a distinctive genre emerging in the first decades of the 20th century that some claim influenced early jazz musicians. The Indo-Fijians have fought for equal rights, although with only limited success. Many have left Fiji in search of better living conditions and social justice and this exodus has gained pace with the series of coups starting in the late 1980s. ^ a b c d e f g h i j k l m n o p q r s t u v w x y z aa ab ac ad ae af "Population of Overseas Indians" (PDF). Ministry of External Affairs (India). 31 December 2018. Retrieved 18 April 2019. ^ a b c "India is a top source and destination for world's migrants". Pew Research Center. 3 March 2017. Retrieved 7 March 2017. ^ a b Bagri, Neha Thirani. "There are more Indian migrants living in Pakistan than the United States". Quartz. Retrieved 7 March 2017. ^ a b "More Indian migrants in Pakistan than in US: Pew report - Times of India". The Times of India. Retrieved 7 March 2017. ^ a b "More Indian migrants living in Pakistan than US: PEW Research Centre - The Express Tribune". The Express Tribune. 7 March 2017. Retrieved 7 March 2017. ^ "International migrant stock 2015: graphs: Twenty countries or areas of origin with the largest diaspora populations (millions)". United Nations Population Division. ^ ClearTax. "NRI Status and NRI Taxation | RNOR - Resident but Not Ordinarily Resident". cleartax.in. Retrieved 15 February 2018. ^ "Modi Oz visit: Overseas Indians in Australia seek dual citizenship". The Indian Express. 14 November 2014. Retrieved 14 June 2017. ^ "It's time Indian government granted NRIs dual citizenship". Economic Times Blog. Retrieved 14 June 2017. ^ Sadasivan, Balaji (2011). The Dancing Girl: A History of Early India. pp. 135–136. ISBN 978-9814311670. ^ a b "The Indian Diaspora In Russia". St.Petersburg city news. Retrieved 20 April 2016. ^ Kiniry, Laura. "Moon Handbooks New Jersey", Avalon Travel Publishing, 2006. pg. 34 ISBN 1-56691-949-5. Retrieved April 11, 2015. ^ Laryssa Wirstiuk (21 April 2014). "Neighborhood Spotlight: Journal Square". Jersey City Independent. Retrieved 11 April 2015. ^ "Yearbook of Immigration Statistics: 2013 Supplemental Table 2". US Department of Homeland Security. Retrieved 11 April 2015. ^ "Yearbook of Immigration Statistics: 2012 Supplemental Table 2". US Department of Homeland Security. Archived from the original on 22 December 2014. Retrieved 11 April 2015. ^ "Yearbook of Immigration Statistics: 2011 Supplemental Table 2". US Department of Homeland Security. Retrieved 11 April 2015. ^ "Yearbook of Immigration Statistics: 2010 Supplemental Table 2". Department of Homeland Security. Retrieved 11 April 2015. ^ "India vii. Relations: the Afsharid and Zand Periods". Encyclopædia Iranica. XIII. 15 December 2004. pp. 21–26. ^ "BĀZĀR ii. Organization and Function". Encyclopædia Iranica. IV. 15 December 1989. pp. 25–30. ^ "India xiii. Indo-iranian Commercial Relations". Encyclopædia Iranica. XIII. 15 December 2004. pp. 44–47. ^ "Kandahar i. Historical Geography to 1979". Encyclopædia Iranica. XV. 15 December 2010. pp. 466–475. ^ "Kabul ii. Historical Geography". Encyclopædia Iranica. XV. 15 September 2009. pp. 282–303. ^ "HERAT vi. THE HERAT QUESTION". Encyclopædia Iranica. XII. 15 December 2003. pp. 219–224. ^ "Balk". Encyclopædia Iranica. III. 15 December 1988. pp. 587–596. ^ "Afghanistan v. Languages". Encyclopædia Iranica. I. 15 December 1983. pp. 501–516. ^ "Cotton iii. In Afghanistan". Encyclopædia Iranica. VI. 15 December 1993. pp. 338–351. ^ Claude Markovits (22 June 2000). The Global World of Indian Merchants, 1750–1947: Traders of Sind from Bukhara to Panama. Cambridge University Press. p. 191. ISBN 978-1-139-43127-9. ^ "ETHNOGRAPHY (Text)". Encyclopædia Iranica. IX. 15 December 1998. pp. 9–28. ^ Peter Hopkirk (2001). Setting the East Ablaze: On Secret Service in Bolshevik Asia. Oxford University Press. pp. 97–. ISBN 978-0-19-280212-5. ^ Peter Hopkirk (16 February 2012). Setting the East Ablaze: Lenin's Dream of an Empire in Asia. Hodder & Stoughton. ISBN 978-1-84854-725-4. ^ Peter Hopkirk (2001). Setting the East Ablaze: On Secret Service in Bolshevik Asia. Oxford University Press. pp. 191–. ISBN 978-0-19-280212-5. ^ Andrew D. W. Forbes (9 October 1986). Warlords and Muslims in Chinese Central Asia: A Political History of Republican Sinkiang 1911-1949. CUP Archive. pp. 76–. ISBN 978-0-521-25514-1. ^ Peter Hopkirk (2001). Setting the East Ablaze: On Secret Service in Bolshevik Asia. Oxford University Press. pp. 222–. ISBN 978-0-19-280212-5. ^ Nils Peter Ambolt (1939). Karavan: Travels in Eastern Turkestan. Blackie & son, limited. p. 169. ^ Andrew D. W. Forbes (9 October 1986). Warlords and Muslims in Chinese Central Asia: A Political History of Republican Sinkiang 1911-1949. CUP Archive. pp. 78–. ISBN 978-0-521-25514-1. ^ Andrew D. W. Forbes (9 October 1986). Warlords and Muslims in Chinese Central Asia: A Political History of Republican Sinkiang 1911-1949. CUP Archive. pp. 84–. ISBN 978-0-521-25514-1. ^ Michael Dillon (1 August 2014). Xinjiang and the Expansion of Chinese Communist Power: Kashgar in the Early Twentieth Century. Routledge. pp. 85–. ISBN 978-1-317-64721-8. ^ Andrew D. W. Forbes; Enver Can (1991). Doğu Türkistanʼdaki harp beyleri: Doğu Türkistanʼın, 1911-1949 arası siyasi tarihi. p. 140. ^ Ildikó Bellér-Hann (2008). Community Matters in Xinjiang, 1880-1949: Towards a Historical Anthropology of the Uyghur. BRILL. pp. 59–. ISBN 978-90-04-16675-2. ^ Christian Tyler (2004). Wild West China: The Taming of Xinjiang. Rutgers University Press. pp. 115–. ISBN 978-0-8135-3533-3. ^ Westrip, J. & Holroyde, P. (2010): Colonial Cousins: a surprising history of connections between India and Australia. Wakefield Press. ISBN 1862548412, p. 175. 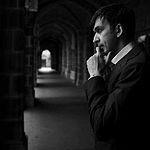 ^ australia.gov.au > About Australia > Australian Stories > Afghan cameleers in Australia Archived 15 August 2014 at the Wayback Machine Accessed 8 May 2014. 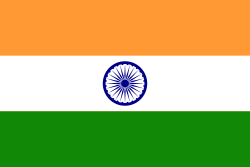 ^ Overseas Citizenship of India (OCI) Information-Consulate General of India, New York, U.S.A. - indiacgny.org. www.indiacgny.org (2013-07-01). Retrieved on 2013-07-29. ^ a b "2011 Census: Ethnic group, local authorities in the United Kingdom". Office for National Statistics. 11 October 2013. Retrieved 13 April 2015. ^ "United Kingdom". Ethnologue. Retrieved 20 April 2016. ^ "Hansard". Retrieved 3 February 2010. ^ Hills, Suzannah (22 March 2012). "Children who speak English as their main language at home are now in the MINORITY in 1,600 schools across Britain". Daily Mail. London. Retrieved 22 March 2012. ^ "Urban planning - The biggest Hindu temple of Europe". Landscapeisleading.com. 31 March 2011. Retrieved 20 April 2016. ^ a b "Persons Obtaining Lawful Permanent Resident Status by Leading Core Based Statistical Areas (CBSAs) of Residence and Region and Country of Birth: Fiscal Year 2013". Yearbook of Immigration Statistics: 2013. Department of Homeland Security. 2013. Retrieved 26 December 2014. ^ a b "SELECTED POPULATION PROFILE IN THE UNITED STATES - 2014 American Community Survey 1-Year Estimates - Asian Indian alone". United States Census Bureau. Retrieved 17 November 2015. ^ Chandrasekhar, S. (26 July 1944). "Indian Immigration in America". Far Eastern Survey. 13 (15): 141. doi:10.1525/as.1944.13.15.01p1437z. ^ Roots in the Sand - Bhagat Singh Thind. PBS. Retrieved on 2013-07-29. ^ "Race Reporting for the Asian Population by Selected Categories: 2010". US Census Bureau. Retrieved 17 January 2012. ^ Ramisetty-Mikler, Suhasini (January 1993). "Asian Indian Immigrants in America and Sociocultural Issues in Counseling". Journal of Multicultural Counseling and Development. 21 (1): 36–49. doi:10.1002/j.2161-1912.1993.tb00581.x. ^ "Meet Superwoman Lilly Singh, biggest YouTube star of Indian origin". The American Bazaar. 10 August 2015. Retrieved 20 April 2016. ^ "Census Profile, 2016 Census - Canada [Country] and Canada [Country]". 12.statcan.gc.ca. 8 February 2017. Retrieved 27 May 2018. ^ The East Indian Community in Canada. Statcan.gc.ca (2007-07-16). Retrieved on 2013-07-29. ^ "ACS DEMOGRAPHIC AND HOUSING ESTIMATES Geographies Table DP05 2011 American Community Survey 1-Year Estimates". US Census Bureau. Retrieved 12 April 2013. ^ "South Asian immigrants are transforming Toronto". The Globe and Mail. Toronto. 4 July 2011. ^ "ACS DEMOGRAPHIC AND HOUSING ESTIMATES - 2013 American Community Survey 1-Year Estimates". United States Census Bureau. Retrieved 26 December 2014. ^ "Air Canada Circles the World adding Six New Destinations to its Expanding International Network - Sep 28, 2016". Aircanada.mediaroom.com. Retrieved 27 May 2018. ^ c qoi o jus' ? ki sa sa ki sa yé ? : GUADELOUPE'S INDIAN ARRIVAL MONUMENT. Cqoj.typepad.com. Retrieved on 2013-07-29. ^ "Fulton News - Breaking News Updates - Latest News Headlines - Photos - News Videos". Newsfultoncounty.com. Retrieved 20 April 2016. ^ "Indians would be protected in Nepal: Rajnath Singh". Indiatoday.intoday.in. Retrieved 20 April 2016. ^ "The Hindu : Where big can be bothersome". Thehindu.com. Retrieved 20 April 2016. ^ "Nations sending highest remittances to India - Rupee fall: NRIs in these nations must be happy! - Yahoo India Finance". Yahoo India Finance. Retrieved 20 April 2016. ^ Alyssa Ayres (26 February 2014). "India's Stakes In The Middle East". Forbes. Retrieved 20 April 2016. ^ Kesavapany, K.; Mani, A; P. Ramasamy (2008). Rising India and Indian Communities in East Asia. Institute of Southeast Asian Studies. p. 234. ISBN 978-981-230-799-6. ^ Kesavapany, K.; Mani, A.; Ramasamy, P. (2008). Rising India and Indian Communities in East Asia. ISBN 9789812307996. Retrieved 20 April 2016. ^ Singhs, Ajit (2007). Indian Communities in Southeast Asia. Philippines: Institute of Southeast Asia studies. ISBN 978-981-230-418-6. ^ a b Rising India and Indian Communities in East Asia - Google Boeken. Books.google.com. Retrieved on 2013-07-29. ^ "Expatriate Indians in UAE not hit by global meltdown". Hindu.com. Retrieved 27 May 2018. ^ "Qatar's population by nationality". bqdoha.com. 18 December 2013. Archived from the original on 22 December 2013. Retrieved 19 November 2014. ^ Vijayanand Kommaluri; R. Subramanian & Anand Sagar K (7 July 2005). "Issues in Morphological Analysis of North-East Indian Languages". Language in India. Retrieved 4 March 2007. ^ "2016 Census Community Profiles: Australia". Censusdata.abs.gov.au. Retrieved 27 May 2018. ^ "Australian Government Department of Immigration and Border Protection" (PDF). Immi.gov.in. Retrieved 20 April 2016. ^ "Fiji population up 50,000 in 10 yrs". Fijilive. 31 October 2007. Retrieved 4 November 2007. ^ a b c d e f g h i j k l m n o p q r s t u Overseas Indian Population 2001 Archived 20 October 2006 at the Wayback Machine. Little India. ^ "How Saudi Arabia's 'Family Tax' Is Forcing Indians To Return Home". The Huffington Post. 21 June 2017. Retrieved 21 June 2017. ^ "Indians brace for Saudi 'family tax'". Times of India. Retrieved 21 June 2017. ^ Where big can be bothersome. The Hindu. 7 January 2001. ^ "Population by States and Ethnic Group". Department of Information, Ministry of Communications and Multimedia, Malaysia. 2015. Archived from the original on 12 February 2016. ^ Gishkori, Zahid (30 July 2015). "Karachi has witnessed 43% decrease in target killing: Nisar". The Express Tribune. Retrieved 3 August 2017. Interestingly, around 16,501 Indians are also living in Pakistan. ^ 0.2% "1,184 Indians in Pak jails, says MEA". Times of India. 5 May 2013. Retrieved 9 November 2014. ^ "Indians in Israel" (PDF). Indiandiaspora.nic.in. Archived from the original (PDF) on 11 October 2010. Retrieved 27 May 2018. ^ "통계청 - KOSIS 국가통계포털". Kosis.kr. Retrieved 20 April 2016. ^ "Indian population growth". Nriol.com. Retrieved 20 April 2016. ^ "INDIAN COMMUNITY IN IRELAND". Retrieved 2 May 2013. ^ "Ireland India Council::Community". Irelandindiacouncil.ie. Retrieved 20 April 2016. ^ "Väestö 31.12. Muuttujina Alue, Taustamaa, Sukupuoli, Vuosi ja Tiedot". ^ "MEA - MEA Links : Indian Missions Abroad" (PDF). Meaindia.nic.in. Retrieved 20 April 2016. ^ "Canada to set up online resource centre in Toronto". The Hindu. 19 January 2014. Retrieved 2 May 2012. ^ Joshua Project. "East Indian in Jamaica". Joshuaproject.net. Retrieved 20 April 2016. ^ Joshua Project. "Cuba :: Joshua Project". Joshuaproject.net. Retrieved 20 April 2016. ^ "Sorry for the inconvenience". Mea.gov.in. Retrieved 20 April 2016. ^ "People Groups | Joshua Project". Archived from the original on 3 October 2008. Retrieved 14 September 2008. ^ Joshua Project. "Antigua and Barbuda :: Joshua Project". Joshuaproject.net. Retrieved 20 April 2016. ^ "自分で脱毛処理をする時のポイント！キレイに仕上げる方法！". Archived from the original on 18 May 2013. Retrieved 20 April 2016. ^ Biblioteca del Congreso Nacional de Chile (9 October 2008). "Bharat Dadlani: "La comunidad hindú de Chile se siente como en casa"". Observatorio Asiapacifico. Retrieved 20 April 2016. ^ "BLA Article - for Indian in Uruguay". Scribd. Retrieved 20 April 2016. ^ Australian Government - Department of Immigration and Border Protection. "Indian Australians". Retrieved 15 January 2014. ^ "[Stats NZ". Stats.govt.nz. Retrieved 27 May 2018. Wikimedia Commons has media related to Indian diaspora.